Friday was the official day I picked up my bow. My very own bow. One that was set up, just for me. An actual left eye dominate bow. Needless to say I am ecstatic. Up until then I’ve been practicing with a friend’s son’s bow. Which is fine and dandy but it’s not set up for me. It’s set up for a right handed ,12 year old boy. And acquiring my bow as truly been an adventure. It all started three weeks ago. I was given a choice between a vacation or a bow. Obviously, being the girl who has been begging to get her start in bow hunting, I went with the bow. We went to the archer’s shop and pick out a very nice looking bow. We were given a specific price which was within my budget and I told the tech to go ahead and order it. He kept calling it a Maniac. This is the bow I assumed I was purchasing. I researched reviews on the Maniac, even wrote a blog post dedicated to it. I was pumped to start my season with a Maniac. I waited and wait for my bow to arrive. FINALLY on Wednesday, I got the call. “Your bow is in Miss Shawna, you can come up Friday and we will get you all set up”. I remember waking up like a kid waiting for Christmas that Friday morning. I wanted my bow badly. I ran to the bank, withdrew the amount of money I expected to pay and made my way up to the archer’s shop. Upon arrival I realized the shop was extremely busy. The tech asked me to wait a minute and he would help me out. Sure not a problem I thought. After a couple minutes, it was my turn to be helped. I explained I was there to have my bow set up and sighted in. 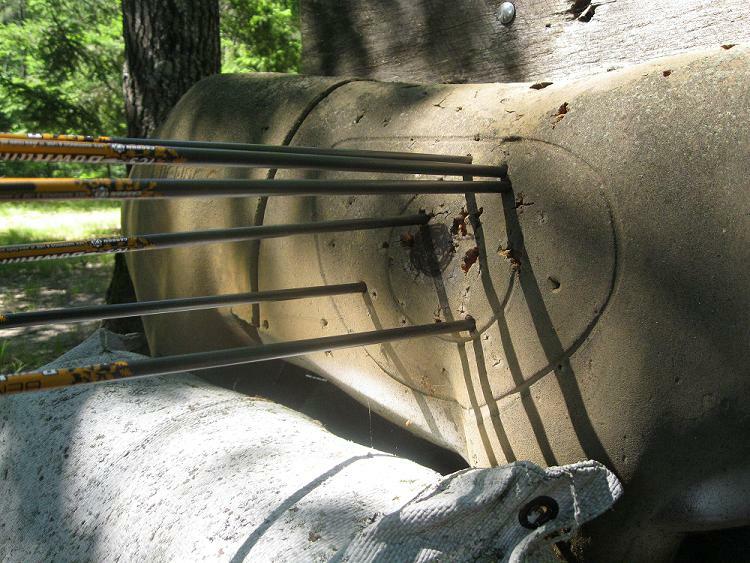 Of course he didn’t have a chance to put my site (or my stabilizer or string loop or arrow rest… Get the point yet?) on yet; he decided right then and there was the perfect time to install my gear. After that I was sent into the shooting range. The tech basically told me I wasn’t like other beginner archers. I was fearless. I wasn’t afraid to be hit by the string or from the release. He basically told me what to do once and I was on my own. After about an hour of solo practice I figured it was time to head home. After I arrived home, I realized my bow wasn’t even a Craze like the tech had said. It was a Menace. Not a Maniac, not a Craze but a Menace. I didn’t know what to do. I felt ripped off. I know the Menace is a much lower priced bow. Not saying he does this often but it makes me wonder if he thinks I am just a dumb “blonde” girl and he thought he could pull one over on me. I seriously compare this situation to a mechanic telling a woman that she needs “Blinker Light Fluid”. Not cool. I did go back on Monday. Did a little practice, learned some new techniques. Most importantly I collected my money. I also decided to keep the Menace – for now. 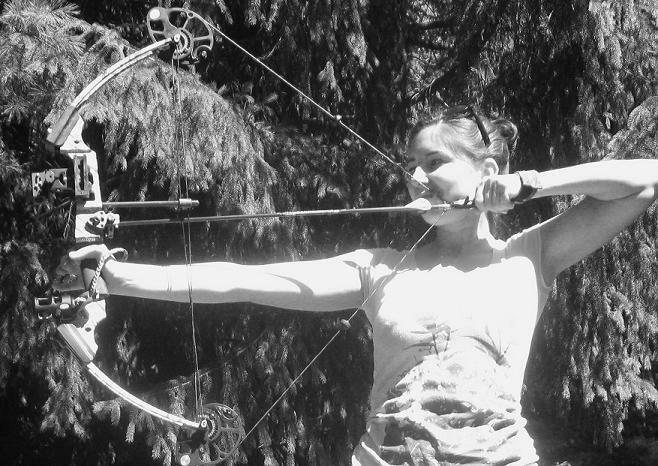 I am a beginner and it is an ideal bow for a person just learning about the sport. I already know I am going to upgrade after this season. But for now I am just going to work on my form and build my muscles. I think it’s safe to say I am getting pretty good. Now it’s your turn… Tell me have you had any bad experiences with hunting store workers? This entry was posted in Bow Hunting and tagged archery, Bow hunting, deer hunting, hunting, mathews, Mathews bow, Mathews Maniac, Menace, Mission. Bookmark the permalink. Sorry about your bad luck! If I were you, I would definitely look for a new shop. Nothing better than feeling completely comfortable and confident with the person working on your rig. As soon as you find a new shop bring that bow in and have it checked! That guy was definitely not a details person and archery is a detail sport. I will for sure. Have to make sure everything is kosher! That’s nuts! Glad you stuck up for yourself. I hope the folks at the next shop treat you right.